So, this was it…my last Cuisine Cube…and this…this product was the last one that I had from the May (Is For Mom) 2015 Cuisine Cube that I received. I had to cancel my subscription due to budget constraints…and that wasn’t an easy decision. I loved…LOVED…this company and I loved discovering new products through them. Yeah…that’s what Cuisine Cube is all about. And one day, I sincerely hope to be able to go back to them and subscribe again. That being said, before I get to the product that I lasted until now, let me tell you a little more about Cuisine Cube. Cuisine Cube is a subscription service that delivers 5-6 gluten-free, full-size products to your door for as little as $34.99/month. Inside the cube, you will discover full-size products (not sample sizes) that are made by local and smaller, artisan companies, rather than those that you can find at the average grocery store. It has introduced me to so many new and delightful products. Each box contains a breakfast, lunch, dinner, snack, and dessert product…and then, sometimes, an extra bonus item. Who doesn’t love a little something extra, right? Keep in mind, however, that Cuisine Cube has gone through some changes as of May. No longer do they strictly only offer gluten-free cubes. In addition to their gluten-free option, they now also offer Artisan and Vegan cubes as well. The Artisan cube means that you have no food allergies and foods that contain common food allergens will be included. The Vegan cubes contain products that are dairy and animal free. And, they still have the Gluten Free cubes, which will have products that contain no gluten or wheat. So, if you’re really interested in being introduced to the smaller, lesser-known, artisan companies, give Cuisine Cube a try! It’s like…Christmas…or your birthday…every month! Who doesn’t love that?! The last product from my May Is For Mom 2015 Cuisine Cube box was none other than the dessert product – Rabbit Creek Products Gluten Free Red Velvet Cake. Why the long wait to use this? Well, believe it or not, with as much of a sweet tooth I am…I am not really big on cake. Secondly…I’m not a big fan of red velvet either. Hence…the reason it sat so long on my shelf. But, as I’m working on clearing out items from my pantry and fridge, prepping for a new year and new goals…this product was up. And instead of baking a cake (again…not a fan of cake or red velvet), I decided to bake cookies. Before I talk about the product any further, let me tell you a little about Rabbit Creek Products. Rabbit Creek Products gets its name from a creek that runs through a small eastern Kansas town. The founder, Donna Cook, a self-described “country girl” grew up in the heart of Kansas, offering a diverse array of food from traditional country with influences from Germany, Sweden, and other reaches of the world. She founded Rabbit Creek Products determined to capture the taste of old fashioned cooking with a designer style and share it with people everywhere. Her innovative mixes make Rabbit Creek a leader in the gourmet industry. Cook was named business woman of the year in Kansas in 1995. Holding that title to its highest standard, Cook insists that Rabbit Creek does the same with their products. Rabbit Creek has over 350 different mixes, including dips, soups, quick breads, beer breads, brownies, desserts, and scones mixes, among others. And…now gluten free products have made their appearance on their product list. 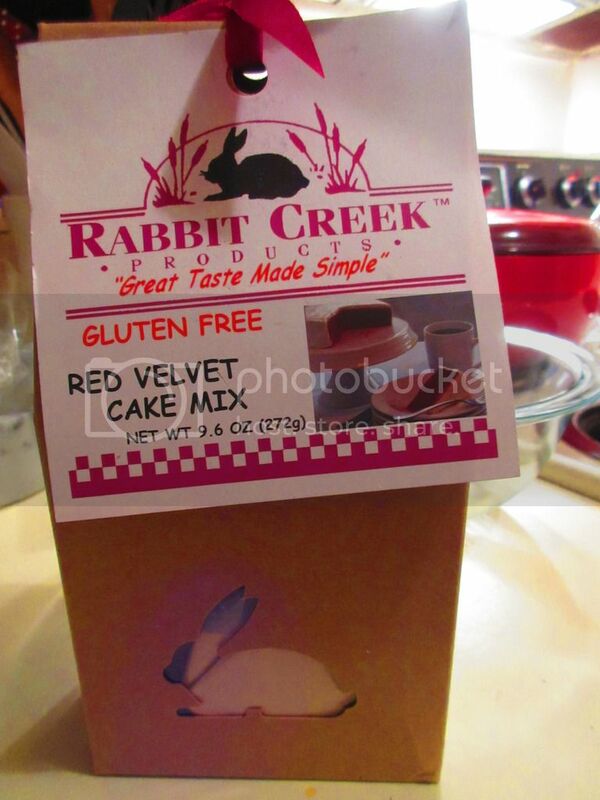 Thanks to Cuisine Cube, I had the opportunity to try out the Rabbit Creek Products Gluten Free Red Velvet Cake Mix. As stated before…I am not a fan of cake nor of red velvet, so this was a tricky one. But, instead of baking up a cake…I decided to attempt to make cake mix cookies out of this mix. The recipe will follow below…and, I wasn’t exactly sure this was going to work…but I figured…I love cookies…why not give it a go? By mixing the Rabbit Creek Products Gluten Free Red Velvet Cake Mix with baking powder, eggs, vegetable oil, vanilla and folding in Greek Yogurt baking chips…I actually managed to create a decent enough, fluffy, light dough that had a cake-y and a cookie-ish like texture to it. I scooped it into little balls and placed the dough on a cookie sheet, forming 12 perfectly round cookies. Then, I put them into a preheated oven and let them bake for about 12 minutes. Out came amazing looking cookies. I let them cool for a few minutes, then…it was time to test them out. I will say this…Rabbit Creek Products really is elevating the world of mixes. Honestly. I was amazed with how well the Gluten Free Red Velvet Cake Mix worked in this recipe. I had my doubts, but what emerged were light, chewy, soft red velvet cookies that had great flavor and weren’t overly sweet. One problem I usually have with red velvet is how sweet it tastes. While these did taste like a treat, they weren’t overly sugary and helped me feel really good about choosing to make them into cookies rather than baking a cake. The texture was soft, light, and amazing. Chewy and delicious. I brought these to work, and got so many compliments on how good these were! Definitely impressed. So, let’s talk about the ingredients that go into the Rabbit Creek Products Gluten Free Red Velvet Cake Mix. This mix is made from gluten free flour (rice flour, brown rice flour, modified potato starch, modified tapioca starch, modified corn starch, xanthan gum), sugar, cocoa, baking powder (sodium acid pyrophosphate, sodium bicarbonate, corn starch, monocalcium phosphate, red dye #40 and natural and artificial flavor. This product is made in a dedicated kitchen. 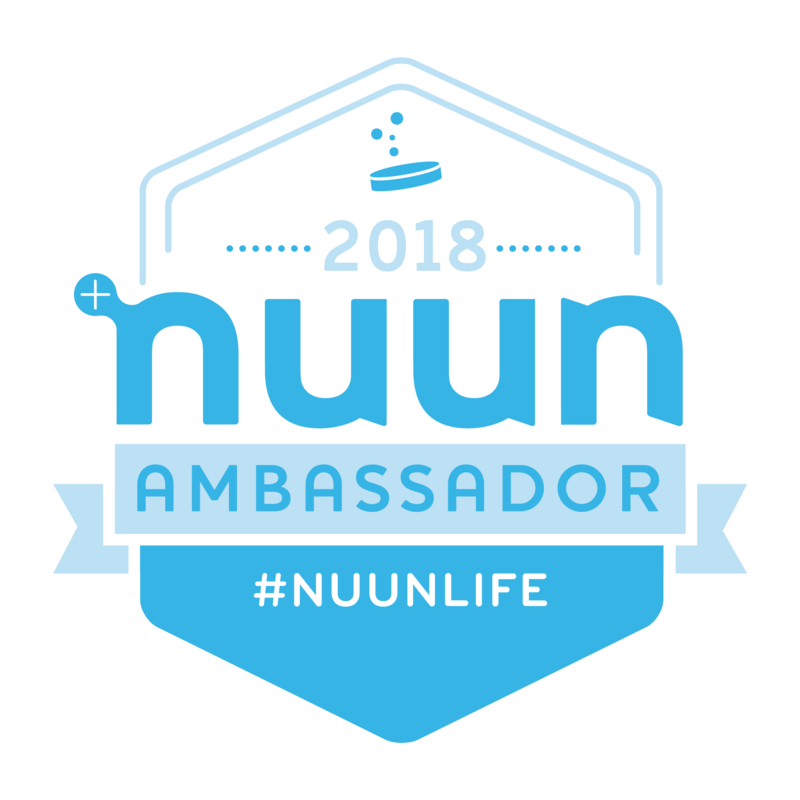 Now let’s talk nutrition! The Rabbit Creek Products Gluten Free Red Velvet Cake Mix contains 16 servings. One serving of the package (about 17 grams) will dish up 60 calories, 0 grams fat, 0 grams saturated fat, 0 grans trans fat, 0 mg cholesterol, 50 mg sodium, 13 grams carbohydrats, less than 1 gram fiber, 6 grams of sugar, and 1 gram of protein. And here’s how I made the cookies…with a recipe loosely based off of the Strawberry Chocolate Chip Cookies made by Sally’s Baking Addiction. I just made changes where I needed for weight of the mix and measure of ingredients. But it worked like a charm! Line large baking sheet with parchment paper or silicone baking mat. Set aside. In a smaller bowl, whisk together the eggs, oil, and vanilla by hand. Add the egg mixture to the cake mixture and stir to form a dough- stir vigorously until all of the pockets of dry cake mix are gone. Gently mix in the the baking chips chips. Drop rounded balls of dough, about 2 tablespoons each, onto prepared baking sheet. Stick a few more chocolate chips on top of the cookie dough balls if you want them for looks, if desired. Make sure the balls of dough are taller than they are wide. Bake for 10-12 minutes not allowing the cookies get brown. Cool on baking sheet for 3 minutes; they will be very soft at first. As they cool, the tops may settle down; press them down gently with your fingers if they are not sinking much. Transfer to a wire rack to cool completely. Store in an airtight container for up to one week. 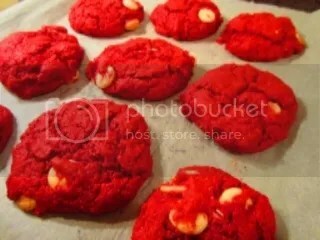 Seriously…this cake mix made amazing chewy, deliciously flavorful, yummy red velvet cookies. And this from someone who is not a fan of red velvet or cake. HA! I do love cookies though. And the addition of the baking chips definitely was a nice touch. So, thank you, Cuisine Cube, for the introduction to the products that Rabbit Creek puts out. And if any of you want to give their products I try, I urge you to visit their Web page and place an order. 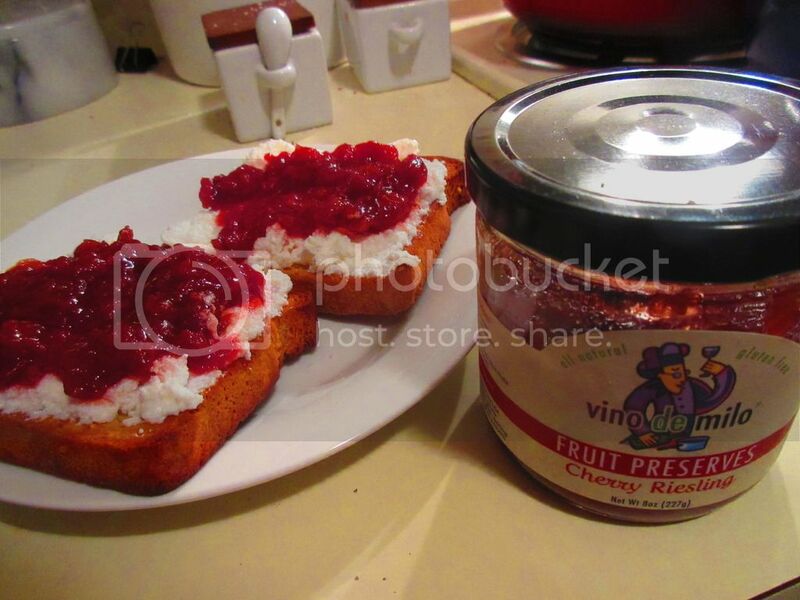 My pantry is overflowing these days with fruit preserves. I am a jelly and jam fanatic. Seriously. If there is a way to utilize jam in a recipe, by God, I’m going to do it. Fruit preserves are one of the little joys in life. And I am a huge fan. So, imagine my excitement when the final Cuisine Cube box I was set to receive (I had to cancel it due to financial obligations toward medical bills) had a jar of fruit preserves inside!! Insert me…doing a happy dance of joy. It was the perfect ending to a year-long and fantastic partnership with this amazing subscription box. So, before I talk more about the product itself, let me remind you or explain (in case you are new) what Cuisine Cube is all about! See where I’m going here?! The best part is, this morning, I needed a new jam to top off the ricotta toast with, and this was just staring at me at the forefront of the jarred preserves shelf in my pantry (I recently reorganized). It was the Vino de Milo Cherry Riesling Fruit Preserves that I had been so excited about receiving, but hadn’t had a moment to actually use them. Until now. Vino de Milo began at a food business incubator, the Appalachian Center for Economic Networks (ACEnet). After a few issues that needed to be worked through, the company obtained a beautiful logo, the addition of wine, and a growing business began. It began simply when an eggplant sauce for a catering job led to a packaging experiment in the adjoining bottling facility. One thing led to another, wine was suggested and then added to the sauce…and Vino de Milo, the product line, was born. This company prefers to use ingredients from local suppliers in Ohio. And, as the brand has grown, they have added more products and capabilities. With a research and development chef on staff, new products are not only being developed, but can easily be customized for retail sales. From it’s humble start in 2003 by Jonathan Milo Leal, Vino de Milo has grown from only offering 3 pasta sauces to a full line of from-scratch-made products that include salad dressings, pasta sauces, bruschetta toppings, salsas, BBQ sauces, and fruit preserves. All of which, by the way, include wine in some way, shape or form…hence the name…VINO de Milo. DELICIOUS!! My roommate isn’t big on cherries, like I am, but she absolutely loved these preserves. I am certain it had nothing to do with the crispness that the Riesling wine (her favorite kind of wine, mind you) brought to this spread. Or…perhaps it did. I don’t know about her, but I loved how deep and rich the cherry flavor was, with that Riesling really stepping it up and bringing out this crispness, keeping the cherries from being too tart on their own. I fell in love with the smooth, yet a little chunky consistency to these preserves, finding chunks of cherries to be an inviting and tasty way to enjoy this spread. Seriously…packed with great flavor, not overly strong, and just…delicious. Wine or not, these preserves are the cherry on top. HA! Let’s discuss what goes into a jar of the Vino de Milo Cherry Riesling Fruit Preserves. This amazing spread is made from red tart cherries, sugar, Riesling wine, pectin, cherry concentrate, and citric acid. Simple. Basic. REAL ingredients. These preserves are 100% all natural. No chemicals, preservatives, or artificial fillers. It is also vegan and gluten-free. YAY! So, let’s take a look at the nutrition information now, shall we? A serving size of the Vino de Milo Cherry Riesling Fruit Preserves is 1 tablespoon. This serving will provide you with 25 calories, 0 grams fat, 0 grams saturated fat, 0 grams trans fat, 0 mg cholesterol, 0 mg sodium, 6 grams carbohydrates, 0 grams fiber, 5 grams sugars, and 0 grams of protein. For fruit preserves, that sugar level is fantastic! I was beyond impressed with the Vino de Milo Cherry Riesling Fruit Preserves. With it spread over the vegan ricotta cheese, it was almost like eating cheesecake for breakfast. LOVE a healthy meal that tastes like a treat. Vino de Milo puts out quality products made with local and amazing ingredients…all blended with a little bit of wine. And who wouldn’t love that. Now that I know this is out there, I hope that I can find it on the shelves. But it’s because of Cuisine Cube that I am aware it exists. And if I can’t find it locally…I can always order it online! And so can you. And this is me…encouraging you to do just that. Trust me…this is one jam you don’t want to miss! Here’s the story…of a lovely lady…who used to always cook with couscous. Then she was diagnosed…as a Celiac…and couscous had to vamoose. Here’s the story…of this thing called Cuisine Cube…who was packaging up gluten-free products. And in May, the box included couscous…and there was much rejoicing in the land. Sorry…I couldn’t resist. My last name is Brady…so the Brady Bunch theme has pretty much been a big portion of my life. And, for just over a year, I can honestly say that Cuisine Cube was a big portion of my life. I hated to have to give up my monthly subscription, but I had medical bills from this torn hip labrum eating into my budget big-time. But that’s not to say that I don’t miss it. I am in the process of using up the final few things that I have from past cubes…and part of me hopes to jump back into the subscription again soon. So, first let me recap for you what Cuisine Cube is all about, shall I? Cuisine Cube is a subscription service that delivers 5-6 gluten-free, full-size products to your door for as little as $34.99/month. Inside the cube, you will discover full-size products (not sample sizes) that are made by local and smaller, artisan companies, rather than those that you can find at the average grocery store. It has introduced me to so many new and delightful products. Each box contains a breakfast, lunch, dinner, snack, and dessert product…and then, sometimes, an extra bonus item. Who doesn’t love a little something extra, right? Keep in mind, however, that Cuisine Cube has gone through some changes as of May. No longer do they strictly only offer gluten-free cubes. In addition to their gluten-free option, they now also offer Artisan and Vegan cubes as well. The Artisan cube means that you have no food allergies and foods that contain common food allergens will be included. The Vegan cubes contain products that are dairy and animal free. And, they still have the Gluten Free cubes, which will have products that contain no gluten or wheat. So, if you’re really interested in being introduced to the smaller, lesser-known, artisan companies, give Cuisine Cube a try! It’s like…Christmas…or your birthday…every month! Who doesn’t love that?! 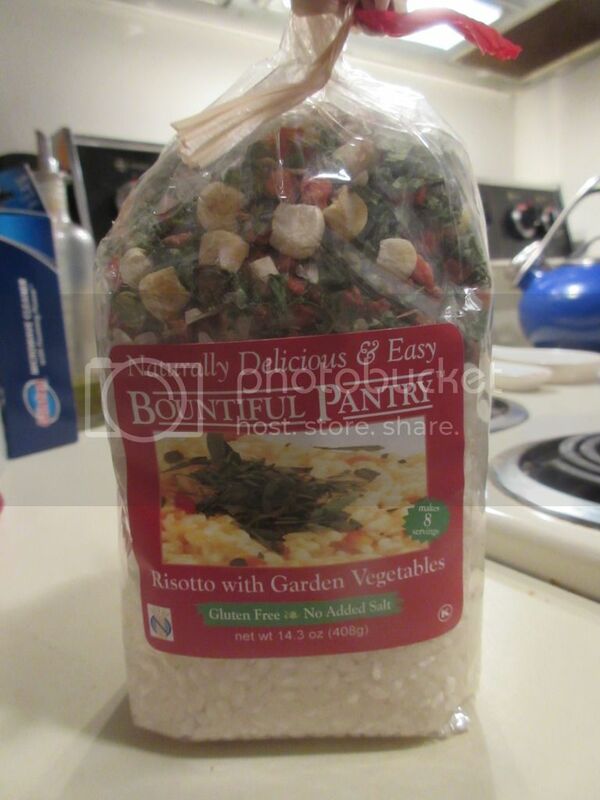 So, as my sing-songy typed up intro to this blog explained…one of the May (Is For Mom) 2015 Cuisine Cube included an 18 ounce box of Biatalia Gluten Free Couscous. I was thrilled…because I used to use couscous all the time in recipes. And now, it wasn’t off limits. Here, right in my clutches, was an amazing box of gluten-free couscous. And I totally get that it took me until the end of August to actually get around to using it, but…wow…was it ever worth the wait. 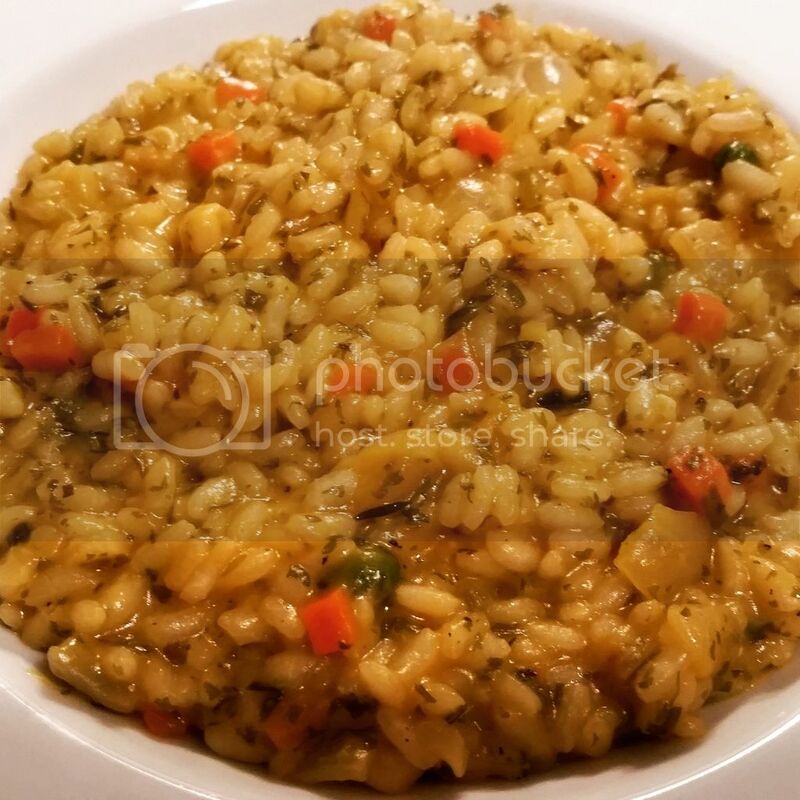 First of all, the Biatalia Gluten Free Couscous is simple and easy to prepare. Pour one cup of boiling water over one cup of the uncooked couscous. Add a pinch of sea salt and cover, allowing it to sit for about 5 minutes. After the water is absorbed, gently separate the grains with a fork and spoon, add olive oil, and top with your favorite condiments. Which…is normally what I would do. But I went a little CRAZY this last week. A couple of weeks ago, my roomie picked up some lamb chops at the local farmer’s market for me to cook up. Hey…I have dreams of appearing on Master Chef…so she said I needs to learn to cook all the proteins, even if I don’t eat them. She volunteers for that. 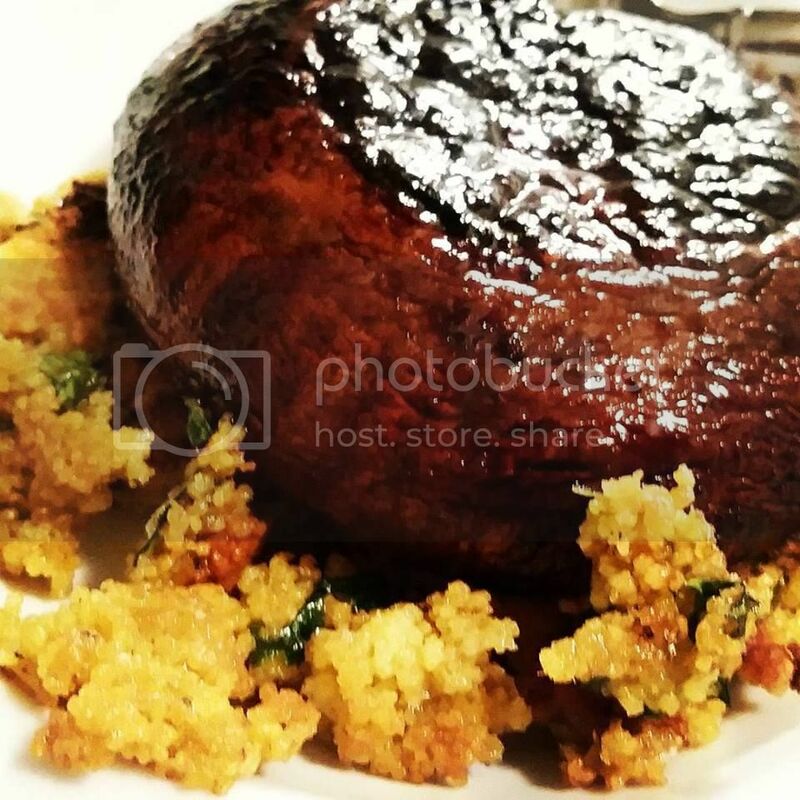 So, with the recipe on hand for Honey Balsamic Lamb Chops ready to go, I pulled up a recipe online from Giada De Laurentiis’ couscous cakes…which involved cooking up the Biatalia Gluten Free Couscous Cakes. I just took 2 cups of the cooked couscous (which was made from 1 cup dry), mixing it with fresh basil, 2 eggs, ground coriander, lemon zest, salt, black pepper, and gluten-free all-purpose flour. Place 1/4 cup of olive oil into a pan and pat the mix into little 1/4 cup cakes (it will make 8) and fry them up, draining them on a paper towel. Of course, with the leftover couscous, I had to try it out. Untouched. And…OH MY GOD…this is really the first gluten-free couscous (I tried 2 others) that really has that real couscous texture. I would have questioned the authenticity of the gluten-free status of this product, but it’s right there in print. Amazing. And, let me tell you, when I combined it with the listed ingredients from Giada’s recipe and made the couscous cakes…the flavor was only elevated. The taste and texture of the Biatalia Gluten Free Couscous was phenomenal. I mean, I was beyond surprised. In fact, I had to double-check the box just to make sure it truly was gluten-free. To say I am blown away is an understatement. This wowed me in every way possible. 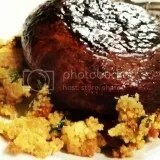 It paired great with her honey balsamic lamb chops and my honey balsamic portobello mushroom cap. Seriously. So yum! Let’s discuss the ingredients of Biatalia Gluten Free Couscous. 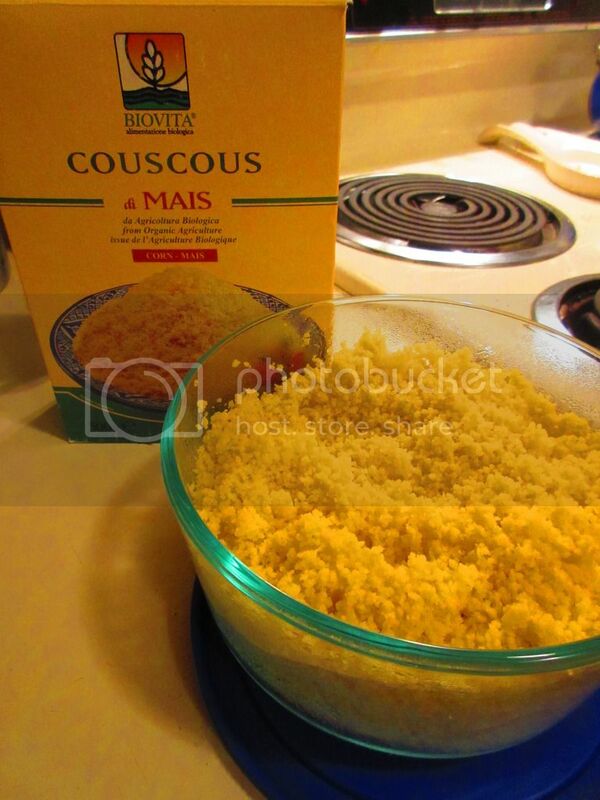 This amazing couscous is made from organic corn flour and water. That’s it. Yep. It’s that easy. Clean eating at its best. As for the nutritional information, one serving is 1/4 cup of the couscous (about 40 grams). This serving will provide you with 140 calories less than 1 gram of fat, less than 1 gram of saturated fat, 30 grams of carbohydrates, less than 1 gram of sodium, about 0.5 grams of sugar, 3 grams of protein and 2 grams of fiber. Isn’t that fantastic? So, without a little help from Cuisine Cube I never would have known about Biatalia Gluten Free Couscous. Made from 100% corn, the taste and texture are amazing and honestly…spot on. You would never guess that this was a gluten-free version of one of my favorite grains to cook with. And now, it is back in my life again. You can order Biatalia Gluten Free Couscous from online shops such as The Shop Agora. Trust me, this one is not to be missed! BUT…now let’s cut to the chase. When it comes to breakfast foods, you can’t quite beat the perfect pancake, right? Hell, I eat pancakes for dinner sometimes. Done that since I was a kid. We always loved when my mom made breakfast for dinner, and the tradition carries on still in my family. We are a breakfast-loving bunch, let me tell you! When it comes to mixes out there for gluten-free pancakes, I have hit on the entire spectrum. I have had the amazing. I’ve had the so-so. And I’ve had the horrible. I absolutely love pancakes (they are so versatile…with what you put in them and what you put on them), and I feel that pancakes should turn out perfectly…every freakin’ time. 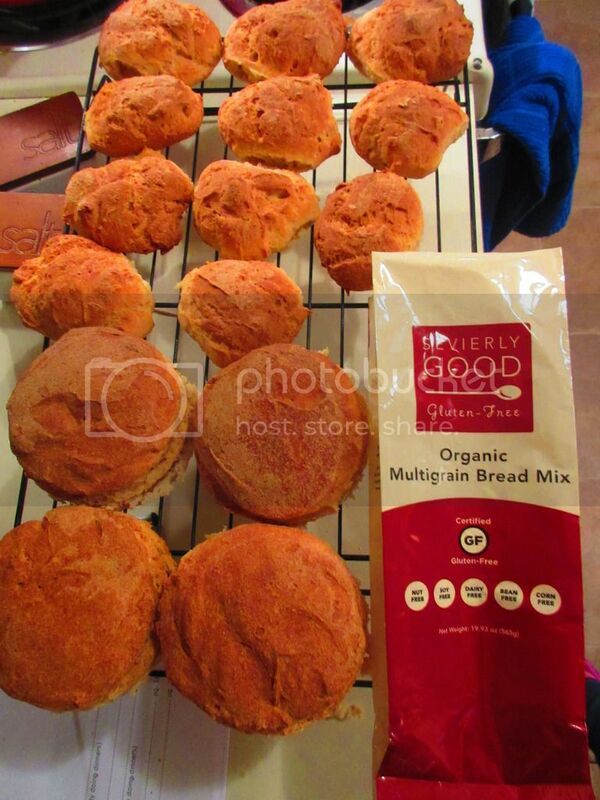 So, why is it that some gluten-free products get that right, and some…just don’t come close. Pancakes are all about texture. You want them to be hearty, yet light and fluffy. This is a very difficult balance to reach. And I definitely have my go-to favorites when it comes to the gluten-free pancake mixes that are out on the market. I thought I had covered them all (or at least the wide-spread ones) until my February (Happy V-Day) 2015 Cuisine Cube tossed another one my way. So, the February box arrives and I uncover this large pouch of SweetieBeans! 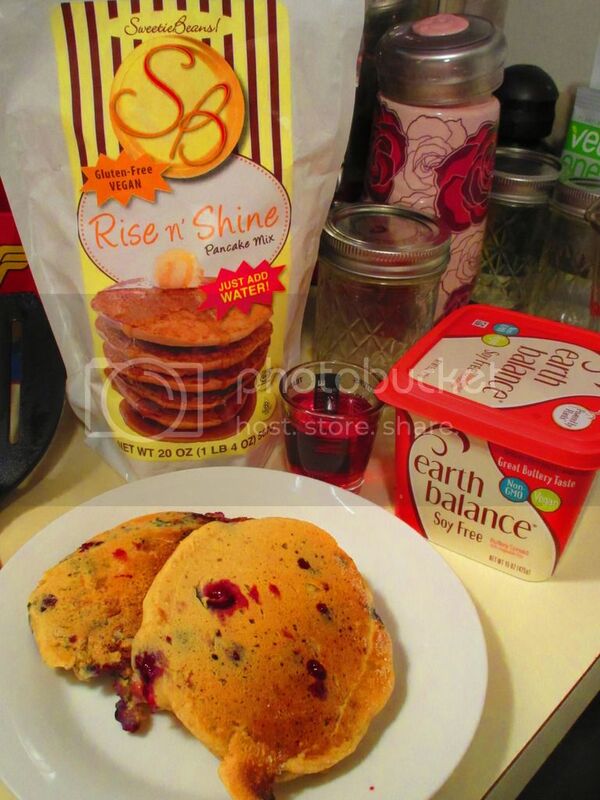 Rise ‘n Shine Pancake Mix. SCORE!! Pancakes are amazing. I was quite excited about them. And after tucking all that month’s products away in their proper places, I had every intention of making pancakes with this mix. And then…I got hurt. And life got busy. Very, very busy. And it was left to sit on the pantry shelf with some random bread mixes and other baking/breakfast items that I have yet to delve into. But, my good friend, Harry, brought me some amazing local, and freshly picked (by himself!) blueberries on Friday and I knew that blueberry pancakes had to be made. I’d been craving them, but I keep eating all the blueberries like candy instead of baking/cooking/making things with them. Hey, give me a fruit and I’ll devour it…even if I just pop them from the bag and nosh. Seriously. That’s how much I love fruit, particularly berries. So, after my Monday morning spin class, I came home and retrieved the SweetieBeans! Rise ‘n Shine Pancake Mix from my pantry, mixed 2 cups of it with 1-3/4 cup water and stirred it up. Added these amazing blueberries and it was time to make the pancakes. Sweetie!Beans is a true labor of love. Several years ago, through a series of health related unfortunate events, the creator’s family became aware that they had food allergies and were going to have to make a few dietary adjustments…which meant completely excluding wheat, gluten, eggs, dairy, casein, peanuts, walnuts, food dyes, pesticides, and yeast. Because it was a health matter, the entire went cold-turkey on their allergy elimination and found that within a few months they were feeling much better. The food, however, for people who were considered “foodies” was lacking now. The items were lackluster, back in the day when cakes tasted like cardboard, fried foods were soggy, and cookies were incomprehensible. The father of the family took matters into his own hands and got into the kitchen. This didn’t happen overnight, but through years of trial and error, he found the perfect blend. Word spread, and soon people were asking him to bake cakes for their special occasions, and all went over well, despite that they were vegan and gluten free. Talk about winning! And with that, SweetieBeans! was born…the company named after the nickname he gave the love of his life, his wife, back when they were 17 years old. As for the SweetieBeans! Rise ‘n Shine Pancake Mix…the batter combined with all the ingredients to form this slightly thick, but smooth, consistency. It was ideal. I got out my 1/4 cup measure cup and dropped the batter onto the skillet to begin to cook. So often, gluten-free pancakes don’t get that amazing golden crust on the outside, but these did. And it didn’t take long for the batter to get there either. I started to see the edges begin to bubble and firm up, so I went ahead and went to flip the first batch over. Perfection. So, this made me feel really good about the way these would taste when all was done. And while these didn’t get overly fluffy in size, but they weren’t flat either. These had the perfect amount of lift to them. They weren’t heavy, nor were they particularly filling. I ate mine while cooking up another round of them and ended up hoovering the two I had plated for myself. Seriously. They were gone almost as soon as I poured my Sohgave Blueberry Syrup over them. I think, because of the name, my roommate thought these were made with bean flours, so she had said that she was surprised they didn’t taste like bean. I told her it was just the name and nothing to do with the blend of flours that were used to create the pancake mix itself. She, a lover of pancakes like me, also enjoyed these. She said they cooked up well and had good volume to them. So, since she isn’t a Celiac or gluten-free…this is a great endorsement. Were they the best we’ve had? Nope. But they rank right up there! I was pleasantly surprised, honestly. With that in mind, let’s discuss what goes into the SweetieBeans! Rise ‘n Shine Pancake Mix, shall we? This mix is a blend of sorghum flour, rice flour blend (rice flour, rice bran), white rice flour, sugar, tapioca starch, and contains less than 2% of each of the following: baking soda, sodium acid pyrophosphate, corn starch, potato starch, potato flour, natural flavor, xanthan gum, sea salt, monocalcium phosphate, magnesium carbonate. This mix is gluten-free (obviously), vegan, wheat-free, egg-free, dairy-free, casein-free, peanut-free, walnut-free, free of food dyes, free of pesticides, and yeast-free. Loving it? I know I am!! As for nutrition, a serving size of SweetieBeans! Rise ‘n Shine Pancake Mix is 1/3 cup of the dry mix. This serving will give you 170 calories (remember, unless you add some chocolate chips or berries or peanut butter…all you put into this mix is water…so this amount remains the same! ), 1 gram fat, 0 grams saturated fat, 0 grams trans-fat, 0 mg cholesterol, 410 mg sodium, 2 grams fiber, 8 grams sugar, and 3 grams of protein. So, it will fill you up, but it won’t make you feel ridiculously full. For me, I loved this mix at first bite. To say that I was surprised is an understatement. After being burned with pancake mixes promising me the best gluten-free pancakes and ending up with anything but that, it was nice to have a product actually deliver. In fact, I look forward to reheating the other batch I made while devouring mine like they were going out of style this morning. Some foods I just can’t savor. Not when it had been so long since I had something taste that amazing. Pancakes should be simple and delicious. SweetieBeans! gives you this and more. I’m a fan! Trust me…you will be too. But first, we need to figure out how to order more! Ever see one of those products that intrigues you…but you just can’t get up the nerve to purchase one to actually try it? 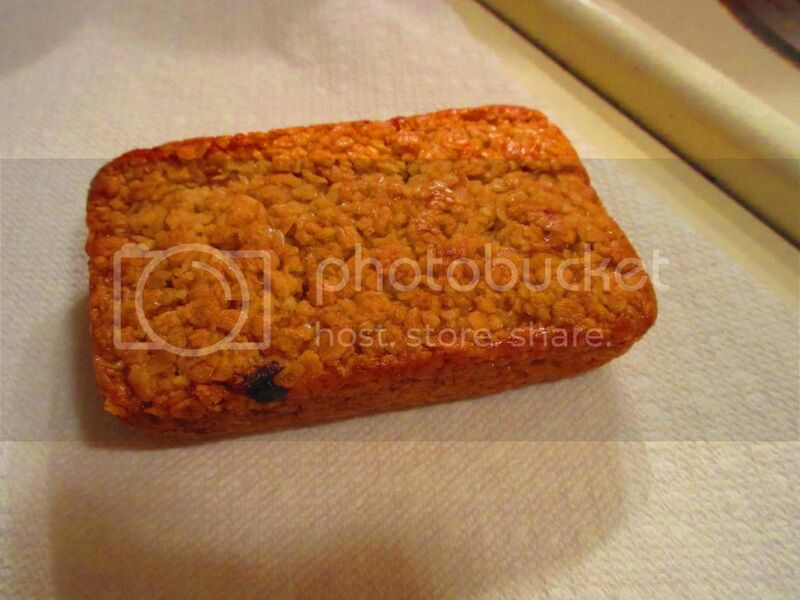 That is the relationship I have had for a few years with Bobo’s Oat Bars. I spotted these first at my natural foods store, Rainbow Blossom, on an endcap. Not all flavors are gluten-free, but there was quite a variety. I really wanted to try one, and, for a gluten-free bar…the price isn’t so bad. I just never could actually talk myself into it. Lo and behold, my May (Is For Mom) 2015 Cuisine Cube brought Bobo’s Oat Bars to me, instead. It was like a “if you build it, they will come,” moment, save more of a, “if you covet it, someone will send it to you.” HA! In the May 2015 box, there were quite a few snacks/candies/sweets packed in. It was the Mother’s Day cube, that’s how it should be. And for the Breakfast/Snack option, the people at Cuisine Cube sent me a much coveted, highly anticipated, Bobo’s Gluten Free Oat Bar. The flavor – peach. Now, peach for me can be hit or miss, honestly. You either get it right, or you get it wrong. As a huge fan and connoisseur of peaches (fresh, tinned, frozen…you name it! ), peach is one of those flavors that either wins me over or loses me. So, peach was the risky flavor of bar to send from the gluten-free line, I think. It’s not a common favorite, but, honestly, it is one of the most refreshing and summer-inducing flavors around. Bobo’s Oat Bars was founded by Beryl Strafford in 2005. This Boulder, Colorado, based business is still headquarted there today. These bars are named after Strafford’s eldest daughter, who she has affectionately called “Bobo.” These bars were developed out of a simple mother-daughter baking tradition, and soon grew to become a sought-after snack bar that are enjoyed by families, athletes, and healthy minded people everywhere. Strafford wanted these bars to embody two of her highest values in life: being a mom, and living an active and healthy lifestyle. Bobo’s Oat Bars are baked from scratch using only the finest organic ingredients, with no additives or artificial sweeteners. These bars are not only convenient, but a wholesome snack choice that are convenient for the busy kids, students, athletes, and adults in life. Not all of Bobo’s Oat Bars are gluten-free, but they have a core selection of flavors that are, including: peach, maple pecan, lemon poppyseed, chocolate almond, apple pie, and peanut butter and jelly. Cuisine Cube shared probably the flavor I would have picked up last, due to my love-hate relationship with peach flavored items. I am either going to love it or hate it. And after 2 months of not quite getting around to trying the much-coveted Bobo’s Gluten Free Peach Oat Bar, my roommate and I split it tonight as our dessert. First of all, I loved the texture of this bar. It was substantial, yes, but it was soft and chewy…like an elite granola bar of sorts. The oats were stunning and each bite was chewy and wholesome. I love that these are made with natural ingredients. I love that very little sugar is in these bars. I loved how 1/2 of this bar (which is the serving size) was filling enough to double as a meal. Yes…I loved all of that. What fell a little short for me, however, was the flavor. When something declares that it is peach flavored, by the taste gods, bring me that bold, sweet, amazing peach flavor. At the very edges of this bar, I found it to be very bland. The center part, still bland, but had more of that peach flavor that I was hoping for. At least the flavor didn’t taste fake…there just wasn’t enough of it there. The Bobo’s Gluten Free Peach Oat Bar was filling, for sure, but not all that flavorful. A little bit of a let-down, but not enough to make me not want to try the other gluten-free flavors out there. So, with that in mind, let’s discuss the ingredients that go into Bobo’s Gluten Free Peach Oat Bars! These bars are made from organic gluten free rolled oats, brown rice syrup (brown rice, filtered water), Earth Balance [natural oil blend (palm fruit, canola and olive oils), filtered water, pure salt, natural flavor (derived from corn, no MSG, no alcohol, no gluten), sunflower lecithin, lactic acid (non-dairy, derived from sugar beets) and colored with annatto extract], organic sucant (non-refined cane sugar), dried peaches, natural peach extract, and xanthan gum. These bars are gluten-free, vegan, non-GMO, and now certified kosher! As for the nutrition facts of Bobo’s Gluten Free Peach Oat Bars, these stats are pretty fantastic. Do keep in mind, however, that each bar is 2 servings, so cut that baby in half and save the rest for another day. One serving, or half of a bar, will provide you with 180 calories, 6 grams fat, 1.5 grams saturated fat, 0 grams trans fat, 0 mg cholesterol, 20 mg sodium, 28 grams carbohydrates, 3 grams dietary fiber, 10 grams sugars, and 3 grams of protein. Is it any wonder with that low sugar, and the higher protein and fiber that this bar feats more like a meal than a snack?! Fantastic. So, the jury is still out for me. 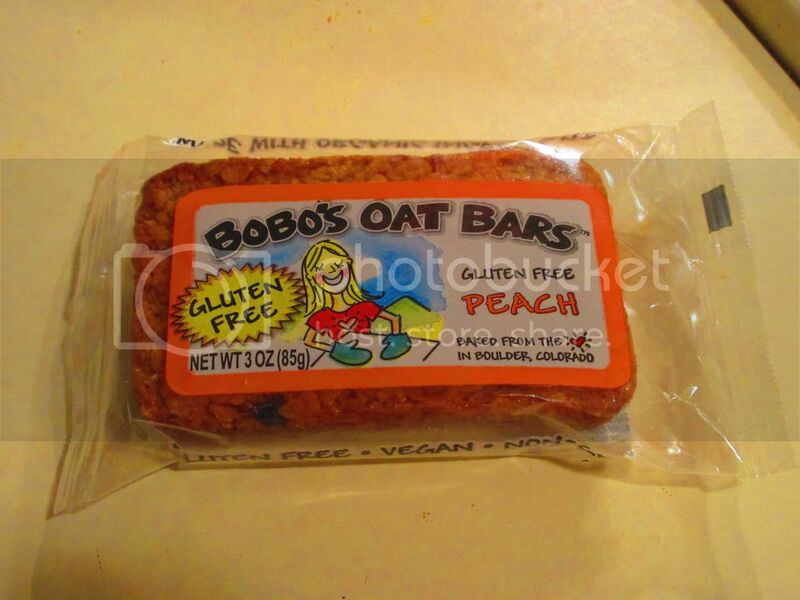 While I wasn’t completely blown away by Bobo’s Gluten-Free Peach Oat Bars, I didn’t dislike them either. In fact, the texture, chewy, yet substantial, was amazing. I loved that. I just wish it was more peachy, given theat it is the peach bar. However, I’m not counting them out yet. Next time I’m at my natural food store, I’m going to snag a different flavor and see if it smacks my taste buds around a little more. For what it is worth, Bobo’s Gluten Free Peach Oat Bar is a great, healthy snack or meal for the busy and on-the-go type of person. It will leave you feeling full, and with it being made from natural ingredients, keep you feeling full. Your body won’t burn right through this bar, as it would many protein, granola and/or snack bars out on the market. The lower the sugar, the happier I am. If not for Cuisine Cube, I don’t know if I ever would have convinced myself to purchase one of Bobo’s Gluten Free Oat Bars. That being said, I’m glad that this was shipped to me so I could get a taste of what is out on the market, and what I love and might not love as much about new bars. I’m a marathoner, I’m always looking for new fuel and recovery items. This…is off to a good start.